REDUCED $10,000!!! Motivated Seller!!! Adjoining the De Gray State Park golf course at the #2 Teebox. Plus a view of Lake De Gray. Only minutes from the Pro Shop , marina, camping , horseback riding and the De Gray St. Park Lodge with restaurant and bar. Neat 3 Br. , 2 1/2 Ba. 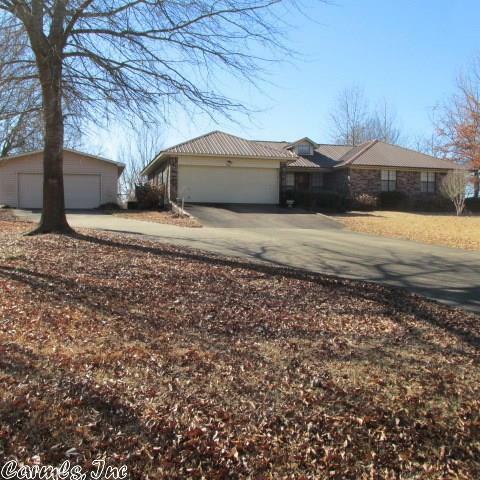 home with lots of storage and a covered deck over looking the golf course. Plus a separate over sized double garage , great for a boat or golf cart. Lots of shop space and built in cabinets. Attached double garage ,PLUS a metal roof.